The nose starts with ripe, ripe, red fruit which yields to complex aromas of apple blossoms, marzipan, cream soda and tamari. The palate is soft and full, reminiscent of white wine but with the juicy flavors of limeade and salted pretzels. The finish is red cherry preserves with vanilla bean and silty tannin for miles. Creamy and soft with an acid-sweet balance. A first choice with pork and grilled vegetables. 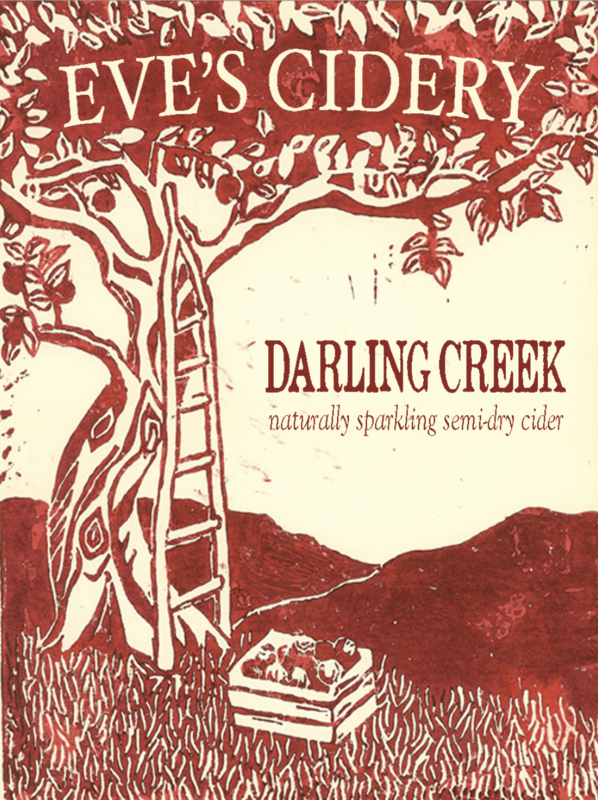 Each year the theme of the Darling Creek story is acid: indeed this year two-thirds of the apples in the blend are considered high acid varieties. Where that acid comes from year to year varies. The 2015 chapter is especially surprising. It shows a big man in a bushy tree. A mountain climber in a tall apple seedling. One-quarter of the apples used in the 2015 Darling Creek blend were wild harvested in and around Van Etten, NY. Seventy-two bushels to be exact. Also unusual about the 2015 Darling Creek is the use of un-inoculated fermentations. All of the wild apples we pressed we left to their own devices: we watched and waited. 11% were grown by Eric Shatt at Cornell Orchard’s cider block. Secondary fermentation in the bottle, Traditional Method.